This team was made up of youth and adults from New Castle Church of the Nazarene in New Castle, IN. This team has visited Jamaica previously, so they really enjoyed their time back on the island. Most of the week was spent with other believers at Mt. Shiloh Church of the Nazarene in Westmoreland, Jamaica. The team was able to spend Sunday morning worshipping with other brothers and sisters in Christ then return Sunday night for the kick off of Vacation Bible School which continued until Wednesday. 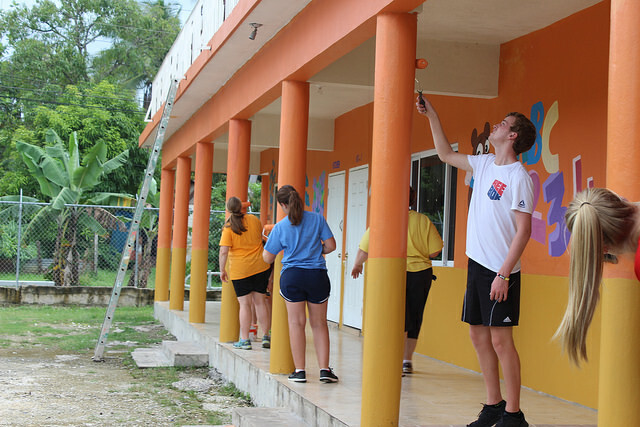 The team was also able to paint a classroom and touch up the outside of a primary school used by a local church. The trip ended with a relaxing beach day and a nice dinner on the coastline.